BALTIMORE, MD. — In keeping with the Community, as outlined in the Roland Park Master Plan that was adopted by the City’s Planning Commission, The Baltimore City Department of Transportation installed Baltimore’s first cycle track on Roland Avenue between Cold Spring Lane and Northern Parkway in 2015. A cycle track was specifically included by the community in the Roland Park Master Plan. This was early in Baltimore’s commitments to bicycling. The City enthusiastically installed the Roland Avenue Cycle Track because it was in the community’s master plan, and everyone hoped it would be a success. A protected cycle track is widely-recognized as the safest type of bike facility because it separates vulnerable cyclists from motor vehicles. This was the goal of encouraging bicycling by people of all ages, and it was hoped the Roland Avenue cycle track would do just that. However, best practices have evolved since 2015 and the bike facility on Roland Avenue is too narrow for people on bikes to use comfortably and too complicated to navigate, with ins and outs, poor sightlines and other safety issues. It has not encouraged bicycling. In fact, although the cycle track is not the only factor affecting Roland Avenue safety, the loud debate around it has only succeeded in dividing a community and distracting from the continued progress Baltimore needs to become more bike-friendly. Let me be clear: I am committed to adding bicycle facilities in Baltimore, but I want good facilities that represent today’s best practices. No matter how good the intentions were, this is just not a good bicycle facility. There isn’t enough room on Roland Avenue for a proper cycle track, a buffer area, parked cars, and travel lanes. I know DOT has been working for many months on a solution to the problem, and has proposed a lane reduction pilot which would reduce the travel lanes on a portion of Roland Avenue, south of Deepdene. While some support this pilot and believe it could create a calmer, safer Roland Avenue for all users, others fear the impact of a lane reduction on an already-busy road with a wide mix of uses, including residential, commercial, and institutional, including several churches and a number of large schools. It would also not address all the issues which I noted above. After reviewing the options with DOT, I have ultimately decided that the proposed pilot, while creative and commendable, is likely to create more problems than it solves. Therefore, with disappointment, we have decided to cancel the pilot. Further, we do not see a way to mitigate the cycle track shortcomings and have the cycle track co-exist with necessary uses ­– including neighborhood parking and sufficient vehicular access, especially to the schools during peak periods. Accordingly, we have decided to remove the cycle track and return parking to the curb as quickly as possible. With the removal, we will immediately reinstall a bike lane alongside the parked cars, visibly painted green and with a firm commitment to make sure it is well-maintained. Moving forward, we will implement a painted bike lane treatment for added visibility. While not as ideal as a cycle track, we believe this is the most practical solution for this particular section of this Baltimore road under these specific circumstances. Let me be equally clear about what this does not mean. It does not mean that the City is any less committed to implementing our Bicycle Master Plan and the supplemental Separated Bike Lane Network Plan. It does not mean that every community objection to a proposed bicycle facility will be dispositive. Working with the community, where we can design and install good facilities, reflecting best practices, we will absolutely continue to do so. But when we get things wrong, we need to fix them, especially when safety is an issue. In addition to this change on Roland Avenue, we will extend the green-painted bike lane south on University Parkway to meet the bike facilities there and further connect to the successful Maryland Avenue Cycle track. A bike lane already exists on University Parkway, but we can do better. We will also paint and enhance the existing bike lane on Roland Avenue north of Northern Parkway. This will create a clear and consistent bike facility from Lake Avenue to Charles Village, where other facilities already exist. In addition, I have directed DOT to develop an action plan which expedites the installation of quality bike facilities around the City, following our Bicycle Master Plan and Separated Lane Network Plan. 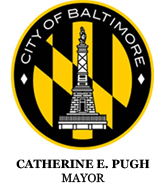 Working with the Mayor’s Bicycle Advisory Commission and other stakeholders, I want DOT to accelerate our commitment to bike infrastructure so that Baltimore can become more bike-friendly, applying lessons learned from the Roland Avenue experience as well as other more successful bike facilities.